I can’t read… I mean, I can’t read anymore… no, that’s not it either. I can’t read slowly. When I read, everything else falls away. I’m immediately transported and I don’t return ’till the book is finished. I wish I could read a chapter or two, go out…pull weeds, maybe make dinner then read a few more chapters. No… I binge. Hours pass and… I’m done! Where did the time go? 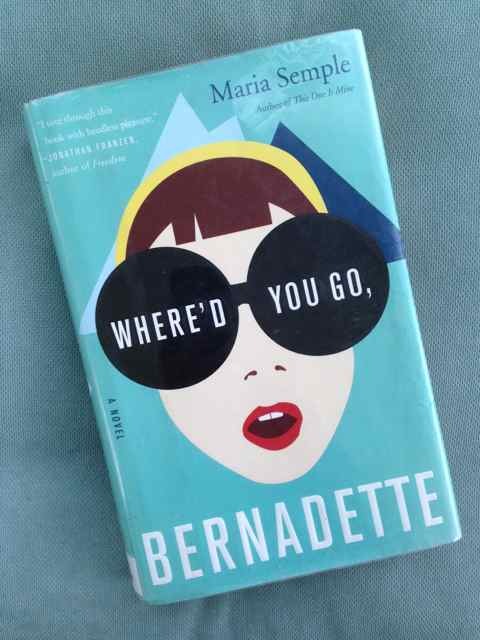 Just the other day I came home from the library with Where’d You Go, Bernadette by Maria Semple. Wonderfully fun satire, perfect for lighthearted summer reading. Yeah, I read fast but this just might be a record! Trouble is, I’m now in the market for another “summer” book. Any suggestions? By the way, earlier in the year I read Mr. Penumbra’s 24-Hour Bookstore by Robin Sloan… also highly recommended for your summer perusal. This entry was posted in Books and tagged Mr. Penumbra's 24-Hour Bookstore, Where'd You Go Bernadette by Dana Burrell. Bookmark the permalink.